High pressure vessels for various applications up to 3.000 bar can be designed, calculated, fabricated and tested by Innoweld. 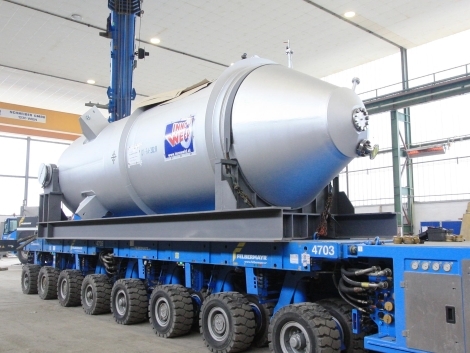 The possibilities of using a high pressure vessel are numberless. Carrying out reactions, separating mediums and storing chemicals are only a few of them. For Innoweld, the interest increases in proportion to the pressure and the temperature. With our experience of engineering and welding pressure vessels with wall thicknesses up to nearly 250mm, and combining them with weld overlays out of materials like nickel, nickel chromium alloys and stainless steels, we are always looking for individual solutions for our partners with individual requirements. The core business of Innoweld starts whenever high temperatures, high pressures and dangerous acids come together. 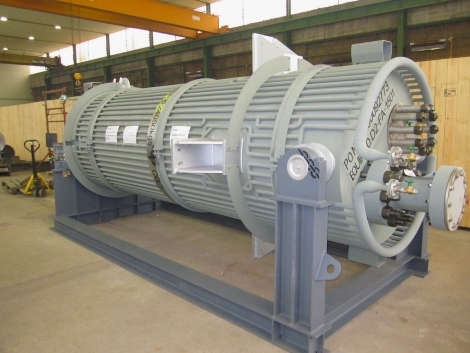 Besides these individual solutions, we are also manufacturing high pressure and high temperature vessels according to exact specifications from our clients. 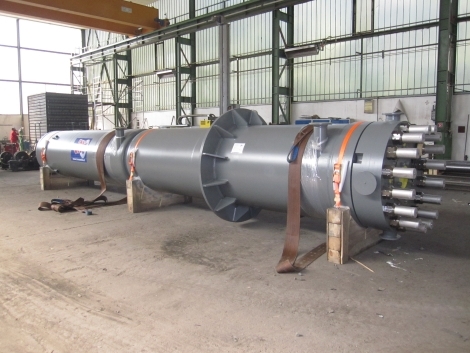 With best delivery times and our high flexibility during the execution of the project, we make sure that the high pressure vessel with the best quality is ready for installation during the next scheduled shutdown. Furthermore, our focus is also on the economical side of the project. With our weight-saving designs, we make sure that the vessels are a success for our partners, not only from the technical but also from the financial point of view.